The L.A. Times released their Summer Reading Guide earlier today. I glanced at the Kids list. I'm thrilled to see Engle's Enchanted Air on it, and Older's Shadowshaper, too. I found much to love in both of those books. In this boys-will-be-boys summer story about friendship and revenge, eleven-year-old Wyatt and his friend Augie aren't looking for a fight. They're having the best summer of their lives hanging out in the fort they built in the woods, fishing and hunting, cooking over a campfire, and sleeping out. But when two older boys mess with the fort--and with another kid who can't fight back--the friends are forced to launch Operation Doom, with unexpected results for all concerned, in this novel about two funny and very real young heroes. The set up for that passage is this: the boys are hunting squirrels. They have to be very still. Flies land on one of the boys and he wants to swat at the one that lands on his nose. That's when he thinks about that movie. In the next paragraph, he sees that ants are crawling on him. The third paragraph starts out "It seemed like a long time went by." Finally a squirrel comes by and the story shifts to hunting. Did that passage about Indians and ants need to be in the story? What does it add? When I read "a movie" in that excerpt above, I started looking for such a movie. I found lots of references to an episode in Sons of Anarchy when the "Wahewa" Indians bury a man up to his neck and let ants crawl all over him. I'm sure there's similar scenes in old western flicks. But regardless of what movie that scene is in, what does it add to this story? If I was editing the manuscript, I think I'd have suggested that the author cut that paragraph and the next one. She could go from being still (paragraph before that one with the Indian movie reference) to the one that started out "It seemed like a long time went by." I titled this post "a missed opportunity" because another option to address that excerpt is that the author could have inserted stupid so that the excerpt reads "I sat as quietly as I could, remembering a stupid movie I saw..." or another sentence at the end, such as "That was a stupid movie. When are movie makers going to stop making movies like that?!" Lest you be tempted to say "it is one line" -- please think about all the "one lines" about Indians there are in children's books, in movies, in songs, in grocery store items, in video games, on athletic team gear... It adds up! Those one lines introduce inaccurate information and reinforce inaccurate information, too. Fort, published in 2015 by Farrar, Straus and Giroux, is not recommended. Early in 2015, Edith Campbell invited a handful of colleagues who share a passion for children, literacy, and diversity to work with her on a Summer Reading list. She invited us to suggest titles we had read and wanted to recommend. As conversations took place, the focus of the list became clear. 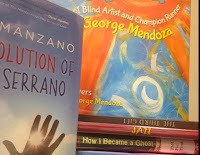 Books we recommend are ones written or illustrated by Native Americans or writers/illustrators of color. We want readers to become familiar with the names on the list and their creative work. As you'll see, not all the books are stories about Native Americans or People of Color, and some are ones in which characters are LGBTQIA or disabled. As you look over the list, you'll see it is divided into three categories: picture books, middle grade, and young adult. Though we didn't compile the titles using a checklist, we ended up with a list that includes contemporary and historical fiction. There's speculative fiction and nonfiction as well. Some are new, and some are older. The list includes a graphic novel, too. Some titles are from major publishers, some are from small publishers, and some are self-published. And, some are available as audiobooks or e-books. The Native writers and illustrators we included on the list are Wesley Ballinger, Eric Gansworth, Cheryl Minnema, Cynthia Leitich Smith, and Tim Tingle. We are Edith Campbell, Sarah Park Dahlen, Sujei Lugo, Lyn Miller-Lachmann, Debbie Reese, and Ebony Elizabeth Thomas. We aren't an organization. We are six people who read and talk about books with each other and on social media. We are sharing the list as widely as possible across media platforms to reach as many people as possible. We hope you'll order these books if you don't already have them, and, we hope you'll feature them in your summer programming and year-round, too. 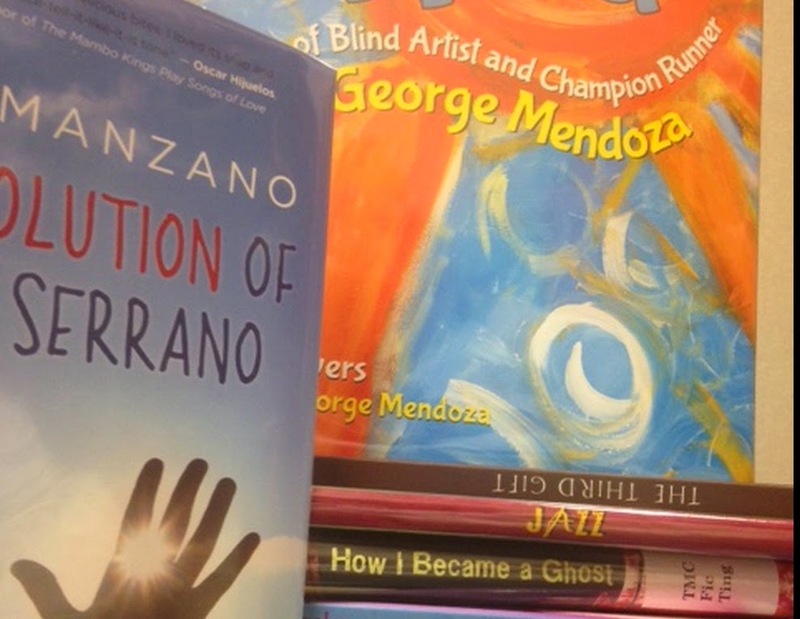 An Inclusive Summer Reading List for Kids/Young Adults! The annotated list is 16 pages long. The list of titles (without annotations) is 6 pages long. In whatever way you prefer, we hope you read and share the list with family, friends, and at your local library, too! Meanwhile, we'll be reading and thinking about our 2016 list. Last road trip I took, I listened to the audiobook of Gansworth's If I Ever Get Out of Here. Hearing Gansworth read it, different parts of the story jumped out at me. I was surprised to find myself tearing up at some parts. As I head out later this week on a road trip, I'll finish listening to X: A Novel by Ilyasah Shabazz and Kekla Magoon. It will probably end up on the 2016 list we put together.